Gigi's cupcakes in Beavercreek, Ohio is the bomb. There cupcakes are made fresh daily from scratch with as many all natural ingredients as they can get. Thanks very much for telling us about Gigi's Cupcakes. I have just looked up their website and read the very inspiring story about how the Gigi's brand was first created. 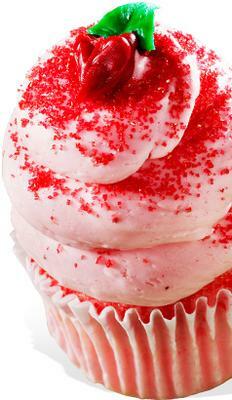 There are now 50+ Gigi’s Cupcakes locations in 18 states, and they are continuing to expand. "My dream for this business is to one day have 100 stores across the country – owned by hard working Americans with a small business mind-set. If I can convey just one idea to someone reading my story, it would be to believe in yourself, walk with integrity, work hard and trust in God. And maybe your life won’t turn out exactly how you were expecting or hoping it to be; but maybe, just maybe, it will be so much better than you could have ever imagined!" Wow. Thanks Kathy for sharing.